The annual YIMBY Festival provides a social space for people and groups involved in grassroots, locally ­driven community development to gather, exchange ideas and strategies to affect change, and imagine their future city. This free, one­-day event invites community groups and non-profits from across Toronto to educate residents, politicians, policy makers, and each other through informal table discussions and presentations. YIMBY provides an opportunity for neighbours to meet neighbours, residents to meet politicians, and politicians to meet community groups in the spirit of people coming together for positive change. This year’s YIMBY festival will welcome 100 Toronto-­based groups involved in community development, civic literacy, equity, neighbourhood improvement, environmental action, arts and culture, economic development, and more. Throughout the day, visitors can connect with organizations at informational displays and take in programming by YIMBY participants who will share samples their current work, ongoing strategies, and new ideas for positive change in Toronto’s neighborhoods. City Planning staff are conducting a study of Roncesvalles Avenue between Queen Street West and Boustead Avenue, and of Dundas Street West between Boustead Avenue and Sorauren Avenue. This study reviews the built form and physical character of the area which includes examining building envelopes, height and massing, assessing heritage resources and considering streetscape and landscape improvement. Staff are holding a Community Consultation meeting to provide an update on the study and the draft urban design guidelines. Your input is important to this process. If you are unable to attend this meeting, please forward your comments to councillor_perks@toronto.ca and Joanna Kimont, City Planner at joanna.kimont@toronto.ca . 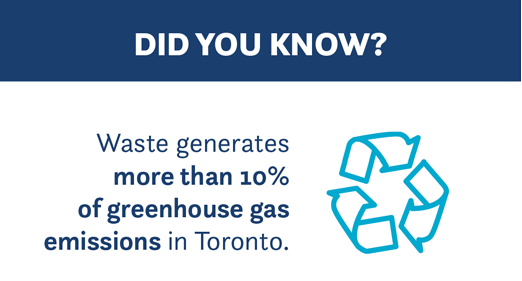 Toronto’s Greenhouse Gas Reduction Targets: 30% by 2020, 65% by 2030; 80% by 2050. • Toronto’s Homes and Buildings: By 2030, all new buildings will be built to produce near zero GHG emissions. By 2050, all existing buildings will have been retrofitted to improve energy performance by an average of 40%. • Transportation: By 2050, 100% of vehicles in Toronto will use low-carbon energy; 75% of trips under 5 kmwill be walked or cycled. • Energy: By 2050, 75% of energy used will be renewable or low-carbon. • Waste Diversion: By 2050, 95% of all waste will be diverted from landfills. In keeping with TransformTO’s guiding principles, Toronto’s climate actions will support social equity, affordability, poverty reduction, local jobs, public health and resilient communities. The developer has shared their presentation from the November 21, 2017 Community Meeting. 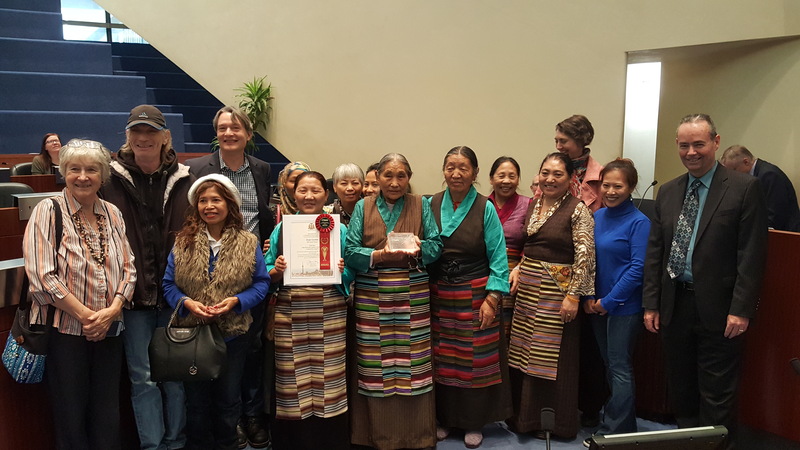 H.O.P.E Garden wins City of Toronto Garden Contest! 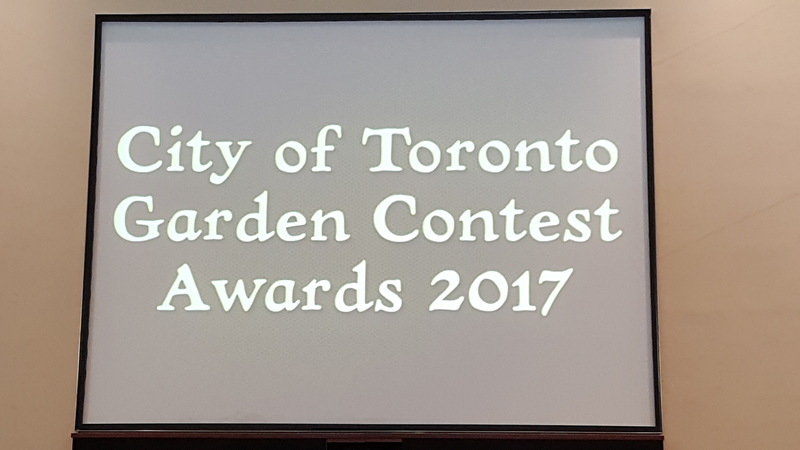 On November 24th, at City hall, Greenest City’s H.O.P.E (Healthy Organics Parkdale Edibles) Garden was awarded the first prize at City of Toronto’s Garden Contest! Proud of our community members who are building healthier and more sustainable communities and growing as gardeners and leaders! City-lead Round Table discussion about Loblaw Site, 2280 Dundas St W.
Choice Properties REIT, the owner of the Loblaw site at 2280 Dundas St West, the south-east corner of Dundas Street West and Bloor Street West, is looking to submit an application to redevelop the site with a mixed-use development including residential, commercial, employment and community uses, a City park, new streets and potential relocation of the high school. In order to understand what the community envisions for this site before the application is formally submitted, City Planning staff, together with my office, are hosting round table discussions which will focus on key themes such as Built Form and Use, Public Realm and Sustainability. (2 blocks north of Dundas St. W.). I have an important update on the 6 Noble St. development application. The developer of 6 Noble St. originally proposed a 14-storey mixed-use building comprised of commercial space located on portions of the first and second floors, 174 residential units, and two levels of underground parking. As you might know, the developer appealed their application to the Ontario Municipal Board. A pre-hearing conference has been scheduled for Tuesday, December 12th at 10 AM. The purpose of the pre-hearing is to identify anyone who wishes to attend at the OMB Hearing, either as a party or as a participant, in opposition to or in support of the application. If you have concerns with the development proposal, your involvement at this stage of the process is important. City Planning staff and the developer have also continued to work to find a suitable proposal for the site. The ‘without prejudice’ discussions between City staff and the developer allows for exploration of possible changes that might result in an agreement without offers or counter offers being made public. I am not involved in these discussions. City Legal have informed me that the developer will be making a revised ‘with prejudice’ settlement offer very soon. A ‘with prejudice’ settlement offer will be a public document. If available, it will be shared at the December 12th pre-hearing. It is my practice to share details of any ‘with prejudice’ settlement offer prior to it being considered by City Council either through email or, if time permits, at a community meeting. At this time, the developer has agreed not to seek a Hearing date at the pre-hearing conference. Instead, they will seek a second pre-hearing in April, 2018 which could be converted into a settlement hearing if a settlement is reached. It is important that anyone with an interest in this matter attend the OMB pre-hearing on Tuesday Dec 12th, notwithstanding the fact that no Hearing date is to be scheduled. This will allow community members to be made parties or participants and be a part of any proceeding should a settlement fail to occur. If you are interested in attending the OMB prehearing but have questions or concerns, please feel free to contact my office for assistance. I will be available to meet at 9:30 AM outside of the prehearing conference room at the OMB to review the process of the OMB prehearing. Please contact my office if you are interested. Please share with other community members. The City of Toronto offers a wide range of safe, fun and high-quality recreation programs for people of all ages, skill levels and interests. Registration for winter swim and skate programs and March break camps starts at 7 a.m. on Saturday, December 2 for Etobicoke York and Scarborough districts and Tuesday, December 5 for North York and Toronto and East York districts. Registering online is the quickest and easiest way to sign up for programs. Over the past year, the City has worked to improve the registration experience by increasing server capacity by 25 per cent so that more people can access the system online. The City has also introduced clearer navigation and planning tools online, and has extended customer service hours and added more staff to provide in-person support. Upgrades to the online registration system require users to update their web browsers. Residents should test their browsers by visiting https://efun.toronto.ca before registration day and updating their browsers if required. Residents need a family number and client number to sign up for recreation programs. Those looking to register are encouraged to get their numbers before registration day by calling the Customer Service Call Centre at 416-338-4386 or speaking with staff at a City community centre. On November 30, December 1 and December 4, call centre hours have been extended from 7:30 a.m. to 6:30 p.m. (regular hours are 8:30 a.m. to 4:30 p.m.) to assist with account information and any other questions related to registration. Residents are advised to have a few backup choices prepared in case their preferred program is full. A listing of programs can be found online at http://www.toronto.ca/rec or in the printed FUN Guide available at City Hall, civic centres, community centres and libraries. A program wish list can be created with the online FUN Guide. Many community centres also offer free recreation programs, including leisure swimming and skating, and drop-in programs for children, youth and older adults. 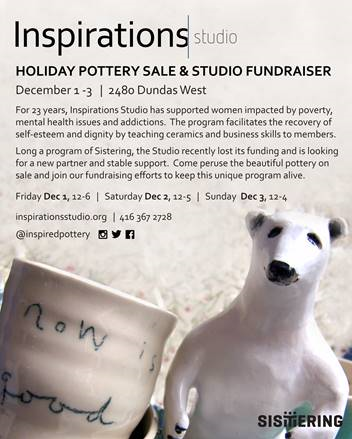 In person at select locations listed on http://www.toronto.ca/rec in the FUN Guide. The Welcome Policy credit can be used to register for City recreation programs. People receiving social assistance (Ontario Works) and living in Toronto are pre-approved to receive this credit and should speak to their caseworker. Older adults (60 and older) receive a 50 per cent discount off the regular price of adult recreation programs. Toronto is Canada’s largest city, the fourth largest in North America, and home to a diverse population of about 2.8 million people. It is a global centre for business, finance, arts and culture and is consistently ranked one of the world’s most livable cities. In 2017, Toronto is honouring Canada’s 150th birthday with “TO Canada with Love,” a year-long program of celebrations, commemorations and exhibitions. For information on non-emergency City services and programs, Toronto residents, businesses and visitors can visit http://www.toronto.ca, call 311, 24 hours a day, 7 days a week, or follow us on Twitter at http://www.twitter.com/TorontoComms and on Instagram at http://www.instagram.com/cityofto.